The scene at the Ottawa Art Gallery opening night gala felt like a Renoir — swarming with happy people — and all mutually thrilled to be enjoying one of most anticipated celebrations of the year. After many years of envisioning a bigger and better building to show off our region’s artwork, along with the Firestone Collection of Art, the municipal art gallery now has a magnificent new home at 50 Mackenzie King Bridge. It’s modern, welcoming and has five times’ more space than its former digs in the old Daly Avenue courthouse next door. “We did it!” OAG chief executive and director Alexandra Badzak shouted, earning loud cheers from the audience. And they did it, the crowd heard, on time, on budget, with unanimous approval from city council, support from all governments, and through a successful public-private partnership. The gallery also propelled past its campaign goal, raising more than $5 million. “It’s very gratifying to finally see it come to fruition,” said OAG board chair Lawson Hunter, who was, along with Badzak, one of the driving forces behind it all. Hunter previously donated $100,000 of his own money to the capital campaign and has been a member of the OAG board for 18 years, cumulatively. Career-wise, he's been head of the Competition Bureau, an executive with telecommunications giant Bell, and is currently senior counsel at Stikeman Elliott LLP. The gallery had at one time looked at moving elsewhere, including Lansdowne Park. That didn’t work out, but the OAG did get a generous donation of $1.5 million from Lansdowne redevelopment partner John Ruddy from Trinity Group. In the end, the OAG stayed downtown where Mayor Jim Watson opined it should be. “Jim, you were right,” Lawson said on stage. You could hear the pride in the mild-mannered mayor’s voice as he made his brief remarks. Getting the municipal gallery a new building had been one of his goals since he was elected to lead the city in 2010. Watson called the official opening of the OAG the pièce de résistance in a week that also saw the light-rail transit system undergo testing for its first time and the prime minister pay a visit to the new Innovation Centre at Bayview Yards. There were many people who helped make the OAG expansion happen, the crowd heard, from politicians to city managers to the OAG board of directors and staff. Special mention was made to the visual artists who had pushed for a new building since the OAG was founded some 30 years ago. “It is absolutely a dream come true,” Ottawa artist Pat Durr said on stage in her Coca-Cola dress made of crushed pop cans (guests were asked to wear creative cocktail attire). She was speaking with CBC News anchor Adrian Harewood, who emceed the opening ceremonies. The area is near the Rideau Centre and the university. “I think it’s turned out wonderfully,” said founding OAG board chair Glenn McInnes. He and his wife Barbara McInnes previously donated $100,000 toward the campaign. “There’s such a sense of engagement and personal relationship here that you just don’t get in public institutions. 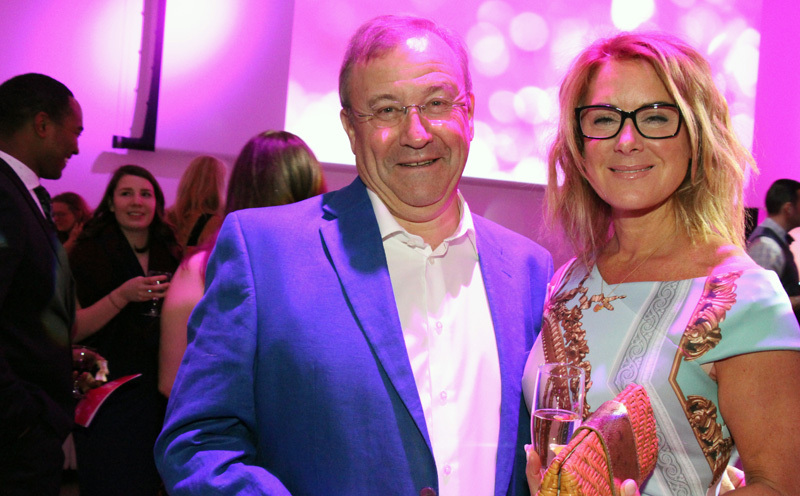 The gala drew some 900 people, including Mitchell Hall, principal with Toronto-based architectural firm KPMB, and ByWard Market restauranteur Caroline Gosselin, co-creator of the OAG's new Jackson café. Particularly excited to be there was Brenda Firestone, eldest child of the late O.J. Firestone and Isobel Firestone. The couple donated their priceless collection of more than 1,600 works of Canadian art that’s now in the care of the OAG. 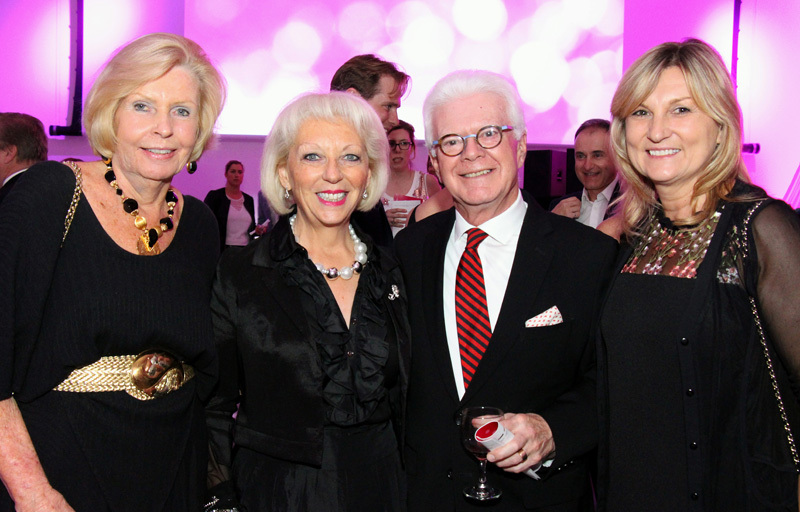 For Firestone, the opening gala was very personal. She felt both gratitude, to all the parties behind the OAG expansion, and overwhelming emotion. The main entrance to the OAG features the original staircase from her childhood home. As well, she was able to admire paintings from her parents' collection that had been previously hidden away in storage, due to lack of exhibition space. She was joined by Dr. J. Lawrence Gitterman. His father, Samuel Gitterman, was the architect who designed the Firestone home and that the staircase which is now a focal point of the gallery. Firestone's take on the evening was echoed by others that night: “It doesn’t feel like Ottawa." The opening gala may have changed all that, proving that the nation's capital is culturally vibrant enough to hold its own against larger cities. O.J. Firestone's second wife, Barbara Ann MacMahon-Firestone, was also among the many who travelled to town for the opening. She had donated to the OAG a portrait of her late husband, done by celebrated Canadian artist Joseph Plaskett. Guests flitted from floor to floor, checking out the galleries, new spaces and large outdoor terrace, while mingling over drinks and food. Showcased was the OAG's inaugural exhibit, We’ll all become stories, which explores the connection between historical and contemporary art works. The gallery — which is free and accessible to the public — was open all weekend and offered free hourly tours and family friendly activities.